Swiss-based SR Technics said it has signed a major engine maintenance, repair and overhaul agreement with Lufthansa Group’s low-cost airline Eurowings. A leading maintenance, repair and overhaul (MRO) service provider with major presence in the emirates, SR Technics is 20 per cent owned by Abu Dhabi-based Mubadala. The two-year agreement was signed at the end of June 2018 and covers part of the airline’s CFM56-5B fleet. On the contract win, Michael Sattler, the chief commercial officer at SR Technics, said: "We are delighted to have won Eurowings as a customer. This clearly reflects on our excellent relationship with the German group, and our ability to adapt to challenging scheduling requirements and offer flexible solutions." As Eurowings is a major player among Europe’s low-cost carriers, there is plenty of room for synergies with other areas of SR Technics moving forward, he stated. Co-operation with Eurowings began in January of this year and in order to meet the demands of the carrier’s large engine shop visit demands, SR Technics provided single engine shop visit offers to customize its services. This, combined with slots that met the carrier’s planning needs and SR Technics’ continuous support, was key to clinching the two-year contract. 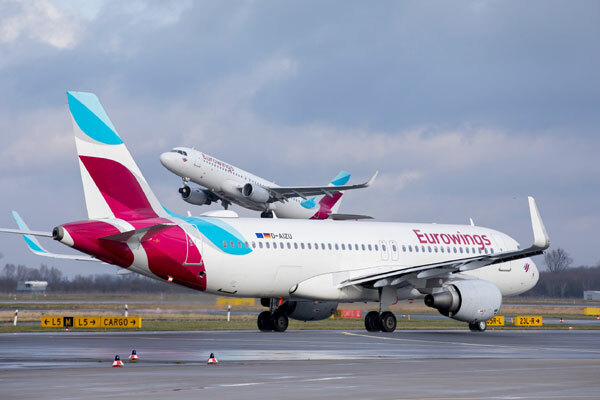 Michael Knitter, the chief operations officer of Eurowings, said: "Optimal technical support for our aircraft is an essential prerequisite for the success of Eurowings. As currently the fastest growing airline in Europe, we rely only on the best service providers. We are proud to be able to rely also on SR Technics for this."